If you're new to Oopsey Daisy, I recently decided to combine my 2 favorite roles--teacher and Mommy. Every week, I teach "Mommy School" to my 20-month-old Little Man. It's an adventure teaching a toddler, but every week, we focus on a theme, letter, number, color, and song. I absolutely LOVE Mommy School! This week, we finished up our "L is for Leaves" unit in Mommy School. We did a whole lot, but I was not a very good photographer this week. I am super duper excited about this upcoming week in Mommy School. Halloween was always my favorite time to teach, and Little Man is just starting to really enjoy the holiday. So the next couple of weeks are going to be FUN! I have compiled a gigantic 60-page packet this week!! 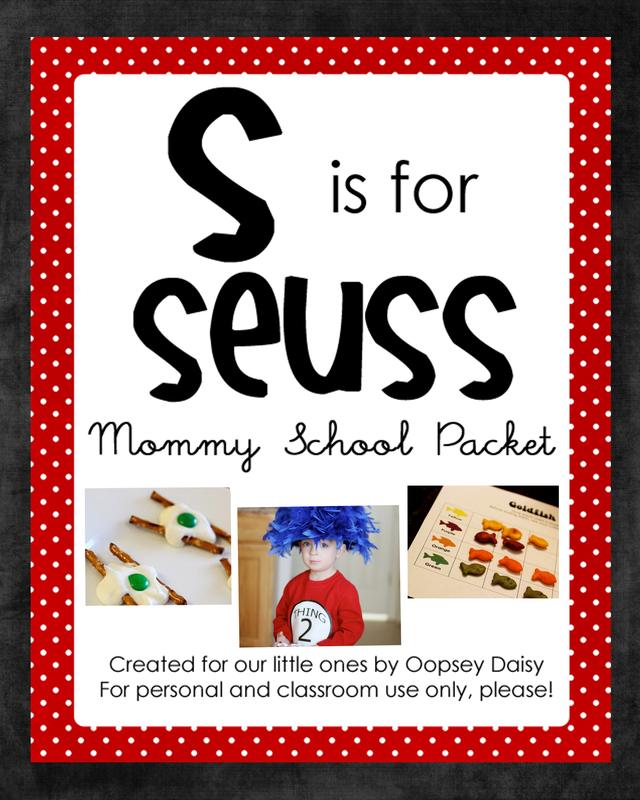 And yes, it's a printable packet that you can enjoy with your little ones at home! I have gotten very little sleep this week as I compiled this packet, trying to have it done so we could enjoy it as much as possible before Halloween rolls around! So I am crossing my fingers that you'll enjoy it too!! * Tons of Halloween art ideas. * Ideas for the color, number, and letter of the week. * TONS of visual aids and learning activities ready to go. Honestly, there is no way I could do all of these activities in even 2 weeks. However, I wanted to compile everything in one packet so I could have all the ideas in one place for years to come. So choose some of your favorites to do with your own little one this week! 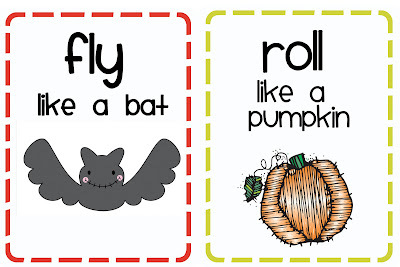 You can use these cards with your kiddos to get out the wiggles in a "spooky" way! 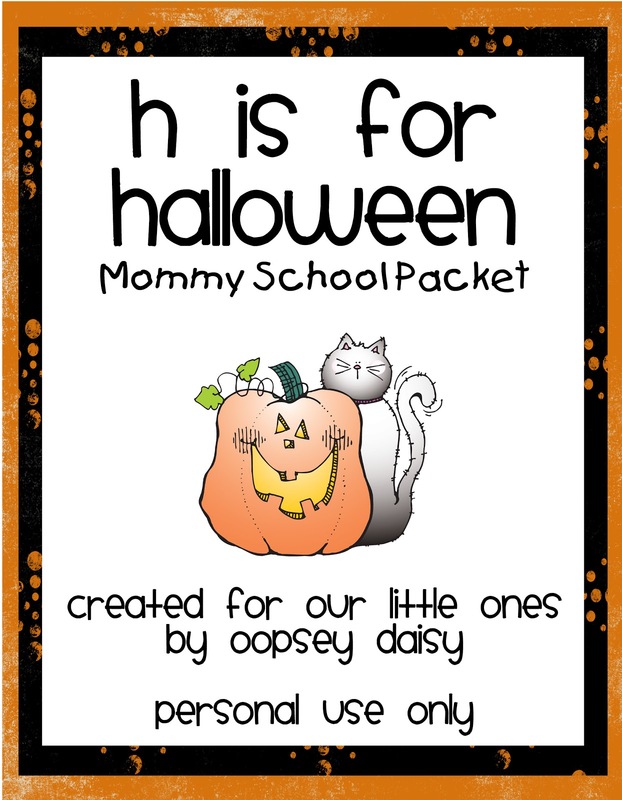 You can download your own H is for Halloween packet here or here on Scribd. * I am forever grateful to DJ Inker's for allowing me to create fun learning tools using their products!! Have a "spooktacular" week with your kiddos! YOU ARE AMAZING!! Oh my goodness, thank you, thank you! I'm a 2nd grade teacher and now a mommy to an almost 1 year-old. 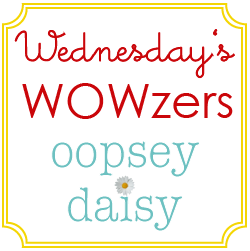 I LOVE when my Google Reader says Oopsy Daisy has a new post. When I tried opening the big Halloween file, it said that file isn't valid when on the Share site. Maybe it's just me? I can't get it to work. It says the link is not valid???? I love your stuff. I've been downloading all of your fun ideas for awhile. I truly appreciate all your hard work. I had the same problem. The link isn't valid for me either. It looks cute though! I can't get it to work either. Thank you so much for all your hard work!!! I can't get it to work. It says the link is not valid. I would love to have it for this week! I use so many of your mommy school lessons. Thank you so much for all of your hard work! It works! WOW! What an amazing packet!!!! Thank you so much! I used to teach 1st grade before becoming a SAHM, so I really appreciate all of your hard work! Thanks!!!! This is AMAZING! You are AMAZING for making it! Thanks so much for sharing! My kids are going to LOVE this!!! Thanks a ton!!! We are doing monsters next week so I had found some of those monster ideas to use for our lesson. I'll have to add in the monster mash freeze game. I teach Mommy School to my munchkin and 3 others (the moms switch off each week). One of my themes next week is Halloween, so this could not have come at a more perfect time. Thank you so much. I can't wait to print off all this fun stuff! Super cute! And great idea! 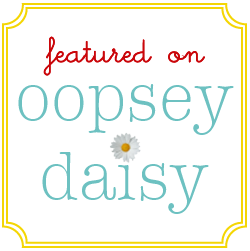 I recently found your blog & I love love love the Mommy school posts. I do "Mom School" for my little one too & your packets add some pop to our lessons. Thank you! THANK YOU so much for sharing this!! I do "mommy school" with my 3 year old and his friends, each of the moms teach a week, and I love new ideas! I am doing the second half of the letter H on Monday so this packet is perfect!! I will definitely be back for more great ideas! Ok, I am so not computer savvy, but where do I find the file once I have downloaded it??!! I Love Love LOVE your blog. So many great ideas! I have 3 little ones still at home under the age of 5 so all the stuff you do and post is AMAZING! I love it. Seriously. All your hard work is most appreciated! Thanks! The whole unit is amazing! Thanks for you great homeschooling ideas! Used to teach 4th grade. Now I have three small ones of my own. I do a preshcool swap. This packet is AMAZING and I can't even begin to imagine the hours it took to compile it all into one major file. Thank you for not only doing this but sharing it with us all. THANK YOU THANK YOU!!! Tell husband it is so very worth it! Alison- You're awesome! Thanks so much! We'll definitely be using this and sharing it with our friends at Joy School. Tell Mr. Oopsey that the late nights were definitely worth it! And I'm sure you're little man's going to LOVE it as well! Wow. You are amazing and I appreciate all you share with the bloggy world. Fantastic! OMG!!!! Thank you soooooooo very much!!! We are doing letter H next week and this is soooo PERFECT!! !….thank ypu so very much, again….you're amazing! My daughter would love this for sure…. Just found your blog from a little tipsey and I love it. The files are incredible. Thanks for putting so much time and effort into putting them together. I'm definitly a fan and going to follow the mommy school ideas. Thank you SO much! I really appreciate these posts! I have a 2 year old son who is a sponge and is absorbing EVERYTHING and these posts have made teaching him SO much easier! Last week we did A is for apple… and autumn, so I kind of combined two of your posts into one. He had SO much fun! I'm looking forward to doing this weeks activities, although, I think I may change it so it's P is for pumpkin… and potty… just to introduce him to the idea of using a potty! But thank you so much for making these ideas so easy to use! Thank you so much for this! I have printed the visual aids and am putting my lesson plan together for the next two weeks – one week focusing on the Halloween things and than one week on some of the other things. I am so excited! Your hard work is so appreciated. I taught older grades so I didn't get into all of the early learning stuff and you have really taught me a lot in just the few lessons you've done. Thank you, Thank you, THANK YOU!!! By the way, to Cara, when you click on Save, before you click on the second Save, look at the top of the download screen for the location. There's a drop-down menu so you know where the download will be or can choose a different location on your computer. LOVE THIS! I try to do the same thing with my 2yo but its so hard to search the blogosphere for projects-this makes it so much easier! We try to do one special craft/activity a week but I can totally ramp it up now. Thanks!!! This is so AWESOME! I wish I could type awesome in a larger font! I read the other comments and I got it to come up without problems! I just can't wait! I haven't started "school" with my 2 year old yet, but this seems like the perfect start. Thank you, thank you, THANK YOU! WOW! This is great! Thanks for all the hard work you put into this and for sharing! I am excited to start my "mommy school" and to share this with my little man. Thanks again. Just found your blog and I am amazed and impressed! I am a teacher (but of 6th graders) and have wondered how to be a better parent to my 2 year old. I am not very crafty, but I really appreciate your ideas and downloads that make it easier! Hoping to implement some of these ideas this week! I am just loving all your mommy school stuff. I love it all. You are amazing. We are totally using this stuff this week. So looove this! As a "retired" teacehr turned homeschooling mommy of 3 & 1 on the way..this amazing link just added to my fun pumpkin week at school! Tell your hubby thanks for sharing your time for all of us! WOw this is amazing thank you so much for sharing! Thank you for sharing! I've been wanting to start "school" with my 2 year old but didn't know how to get started. We'll start with some of these! This is great! Thank you for sharing your time and talents with us! hmmm…the link won't work for me either! Any suggestions?? It looks like a fabulous resource. Thank you so much for this. I cannot wait to open it up and play with my toddler. I know so much work went into this and I really do appreciate it. FABULOUS! I came through the link you added at ABC & 123 for Show and Tell. Thanks so much for sharing your resource! I have two book printables from the classroom days kinda like your Carle inspired one, one is a color in and one is like a rebus with die cuts. Can't wait to add this one, it looks like the quickest and easiest to use. Thank you so much! These are super cute. I appreciate the time you spent to put these together and it's awesome that you shared them with all of us! I know my daughters will love these. Your blog is awesome! I teach preschool and will be using and sharing your ideas. Thanks for all the hard work. It looks great. Following from ABC & 123. Thank you so much for this packet! I just found your blog from a post from the Families are Fun blog, and will be following now! I can't believe my luck! Its my turn to teach preschool tomorrow and I have a few ideas, but needed a few more to fill the time. These activities are PERFECT! Thanks for being so willing to share! Thank you thank you!! These are amazing I can't wait to use them with my kiddo's next year! I love your blog as well! Thanks ! Love your site! Thank You!!! Love, love, love your movement cards! thank you very much! I wish I had your talent! I would be more than happy to pay for the other holidays! you put in alot of time and this packet is wonderful! thank you thank you! thank you SO much. i’ll be using this in my class at halloween! 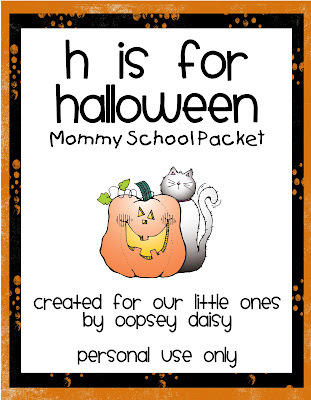 I just found your Mommy packets and downloaded the Halloween one. I just had to THANK YOU, THANK YOU, THANK YOU. I know that was a lot of work and I really appreciate your generosity in sharing this. I’m really looking forward to Halloween now so me and my little one can do all sorts of fun things together! I’ll definitely be downloading the rest as well. Love your ideas tried to download but couldn’t get it to work? Am I doing something wrong? Thank you sooooo much for sharing such an awesome and free resource. Excellent job and MUCH appreciated! Thank you so much for sharing….and for free!! I have a 23 month old and cannot wait to do these with him and send them to Grandma’s for her to do with him while I am at work (teaching Kindergarten)! Love your ideas and packets!! What age are they targeted to? I’m looking for things to do with my 17 month old. Are these packets geared towards older kids? I’m still trying to figure out this homeschool bit and what is age appropriate. Thanks! Wow! Thank you for all the great ideas! This is absolutely fantastic!!! I’m new to your site, but am so impressed!! My little girl & her play group friends will get so much use out of this! THANK YOU THANK YOU!!! Wow! Thank you. This is amazing. Your resources are wonderful for English Language Teachers. I posted a link at my Facebook page: ESL/EFL Preschool Teachers. Impressive! I can’t wait to share this with my daughter and grandson. Thanks!!! Thank you soo much! you can tell your husband that the late nights are worth it, because you are helping so many of us with these packets. Thank you for taking the time to research, finding the graphics, calling people to check if you can use their “products” and sharing. I am downloading all the packets and plan to use them with my 18th month all baby who loves to learn new things. Thank you for this amazing pack, my kids and I are going to have so much fun in October doing these fun crafts! You are generous and kind to offer this for free, it’s absolutely wonderful! Thanks so much for putting together these great ideas!! Alison, thank you so much for sharing this Halloween packet. I was a preschool teacher for many years and certainly appreciate all of the heard work you have put into this! Now, as a grandma to 6, I will use these ideas with my little ones! 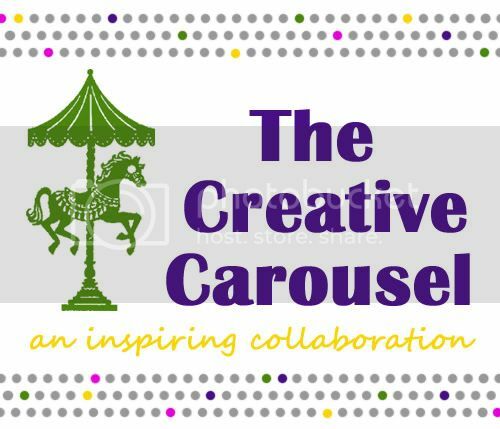 Thanks for sharing this amazing collection of ideas and activities! Thanks for creating this for free!!! My 2.5 year old just LOVED it!!! Thank you so much for all your hard work!! This packet is absolutely AMAZING!!!!!!!!! Thank you so much for the kind words. I am so glad you like it!! I taught primary for 6 years before staying home with my kids. I have a 4 year old and 2 year old twins…and I cannot WAIT to do this packet with them! I pull out my “school stuff” to use, but you have such great age-appropriate ideas. And the fact that you share it with us…just so generous. Thank you so much from one parent educator to another! Thank you!!! Thank you so much! This is perfect and awesome. THIS IS SOOOOOOOO AWESOME!!! thank you, thank you, and thank you! My son and I are going to have a great day today!!!!! Thank you Alison!!!! Thank you for compiling and sharing such wonderful materials. I used it with 4 little toddlers this morning (my son and his friends) and they had an absolute ball!!!! May good blessings come to you and your family for your gifts of time and talent. Just wanted to let you know that I just finished making your pumpkin pie playdough recipe on my blog and directed all my friends back to you and your H is for Halloween pack. Thanks I cannot wait until my kids try it in school tomorrow. This was an incredible amount of work – you are very generous for sharing, so thank you for your big heart!